Films serve an important role in spreading awareness in our society. They allow us to step into the world of another person through storytelling. Check out some our favorite films about refugees and immigrants. Sit back, “Netflix, Chill AND Learn” about some of their amazing stories. Some old, some new, ALL awe-inspiring journeys of hope & resilience. Additionally, don’t forget to check out our PBS POV Films “Voices of the Sea” Film Screening event Tuesday, November 27th at 6pm at Marymount University’s Ballston Auditorium. This remarkably timely, eye-opening film charts the death-defying struggle of African migrants as they risk everything to start a new life in Europe. Ayiva (first time actor Koudous Seihon in a revelatory performance) and Abas (Alassane Sy) are close friends from Burkina Faso determined to make it to Italy in order to find work and provide for their families back home. But even after surviving the harrowing journey-desert bandits, a treacherous sea voyage, arrest-nothing can prepare the two men for the hostility and violence that awaits them. 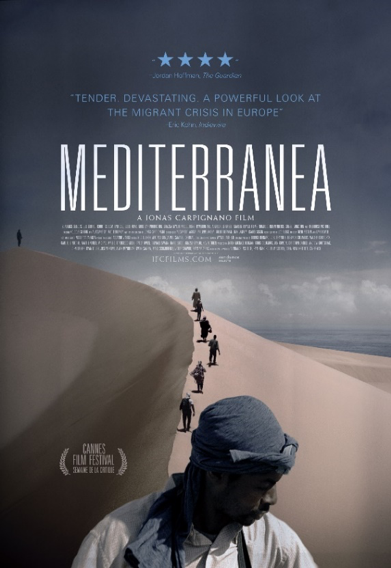 A gripping tale of survival told with vivid realism, Mediterranea immerses viewers in the heart of a humanitarian crisis that for far too many is a lived reality. More than 65 million people around the world have been forced from their homes to escape famine, climate change and war, the greatest displacement since World War II. Filmmaker Ai Weiwei examines the staggering scale of the refugee crisis and its profoundly personal human impact. Over the course of one year in 23 countries, Weiwei follows a chain of urgent human stories that stretch across the globe, including Afghanistan, France, Greece, Germany and Iraq. This visceral work of cinema is a testament to the unassailable human spirit and poses one of the questions that will define this century: Will our global society emerge from fear, isolation, and self-interest and choose a path of openness, freedom, and respect for humanity? After their village is destroyed and their parents killed by Northern militia, Sudanese orphans Theo, his siblings and other survivors make a difficult journey to a refugee camp in Kenya. Thirteen years later, the group gets the chance to settle in the U.S. They are met in Kansas by Carrie Davis (Oscar® winner Reese Witherspoon), who has been charged with finding them jobs. However, seeing how adrift they are in 20th-century America, Carrie endeavors to help them in rebuilding their shattered lives. An inspiring story about the Lost Boys of Sudan. Also starring Ger Duany, featured in the first 1 Journey Festival! 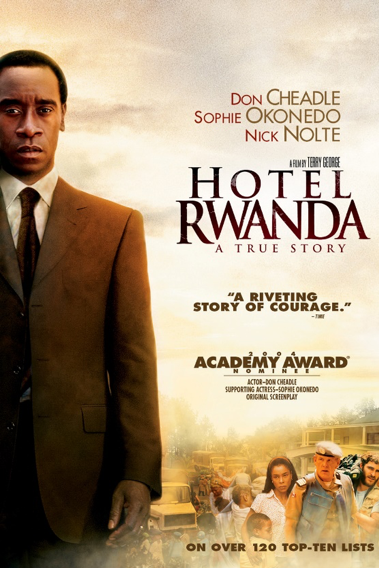 The film was nominated for multiple awards, including Academy Award nominations for Best Actor, Best Supporting Actress, and Best Original Screenplay. 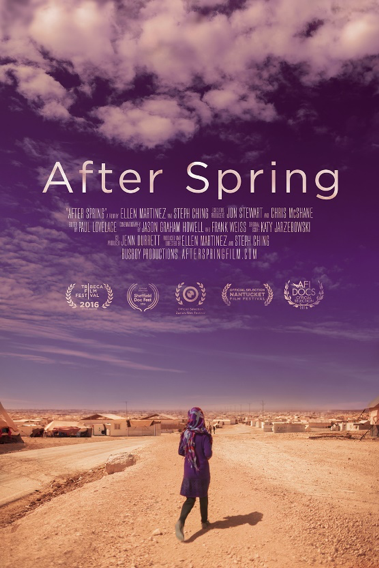 After Spring is a feature documentary that focuses on the Syrian refugee crisis. With the Syrian conflict now in its eighth year, millions of people continue to be displaced. After Spring is the story of what happens next. By following two refugee families in transition and aid workers fighting to keep the camp running, viewers will experience what it is like to live in Zaatari, the largest camp for Syrian refugees. With no end in sight for the conflict or this refugee crisis, everyone must decide if they can rebuild their lives in a place that was never meant to be permanent. The commander of a Coast Guard ship is charged with saving the lives of thousands of refugees. In the Oscar®-nominated short film 4.1 Miles, Daphne Matziaraki follows a day in the life of Kyriakos Papadopoulos, a captain in the Greek coast guard who is caught in the middle of the refugee crisis in which Europe is embroiled. Despite limited resources, the captain and his crew attempt to save thousands of migrants from drowning in the Aegean Sea. Nominated, 2017 Academy Award for Best Documentary Short Subject. The genocide in the Darfur region of Sudan is the most recent violent episode in a country where a 20-year civil war has killed an estimated two million people and displaced more than four million. The Dinka tribe has been hardest hit. Lost Boys of Sudan follows two young Dinka refugees, Peter and Santino, through their first year in America. As small boys, Peter and Santino lost their families to the war and were forced to flee their homes. Along with 20,000 other boys, they wandered hundreds of miles across the desert seeking safety. After a decade in a Kenyan refugee camp, nearly 4,000 "Lost Boys" have come to the U.S. as part of a refugee resettlement effort. Peter and Santino set out to make new lives for themselves in Houston and in Kansas City. Their struggle asks us to rethink what it means to be an American. Anna, Ole, Fred and Peter are four members of the Emergencies Team — or E-Team — the most intrepid division of a respected, international human rights group (Human Rights Watch). Trained to deal with unfolding crises, the E-Team flies to hotspots all over the world as soon as allegations of human rights abuse surface. Then they get to work — gathering crucial evidence to determine if further investigation is warranted and, if so, to investigate, document, and capture the world's attention. Human rights abuses thrive on secrecy and silence, and the work of the E-Team, backed by their international human rights organization, has shone light in dark places and given voice to thousands whose stories would never otherwise have been told. Two American filmmakers travel to the edge of war, to live with 85,000 Syrian refugees in Jordan's Za’atari camp. For the first time, experience an intimate look at the heartbreak and hope on the frontlines of the world’s most dire refugee crisis. From the award-winning creators of Living on One Dollar, Salam Neighbor is a must see. It's been called "Important" by U.S Ambassador Samantha Power and "Heart-wrenching" by Indiewire. MAKE A DIFFERENCE: This film is just the start. Visit SalamNeighbor.org to learn about tangible and urgent ways for each of us to help Syrian refugees.